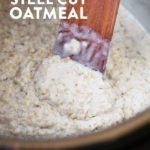 Get ready for these 10-Minutes Instant Pot Steel Cut Oats! Meal-prep your way into the week by prepping these Steel Cut Oats in the Instant Pot for breakfast all week long. 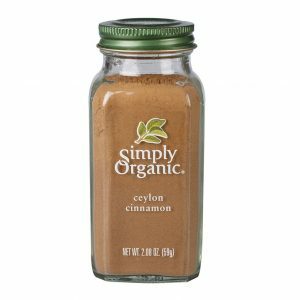 Top them with your favorite nut butter, berries, or some hemp seeds. The options are endless! 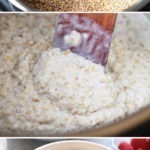 We are big fans of oatmeal on Fit Foodie Finds! If you’ve been hanging out with us for a while now, you’ve been around for overnight oat week and oatmeal week. There are endless options when it comes to oatmeal, do you feel me? 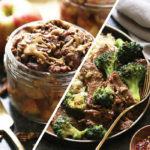 Some of our all-time favorite recipes on FFF are our peanut butter banana overnight oats or our crock-pot maple cinnamon steel cut oats. I love all the endless combinations of toppings, mix-ins, and varieties of oats! I’m not going to lie, we tend to skew towards using old-fashioned rolled oats over steel cut oatmeal. We love the texture and how quickly they cook! 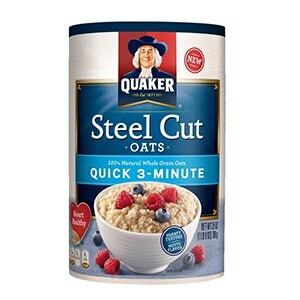 However, we do love a good steel cut oat oatmeal. It’s the time it takes to cook the steel cut oats that makes them less appealing—> until now. We are entering a whole new world of oatmeal today because we are using the INSTANT POT. Yes, another amazing recipe coming at you using the instant pot. 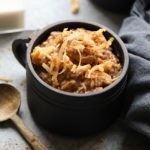 We thought we would try making pressure cooker steel cut oats and it worked! These Instant Pot Steel Cut Oats are as easy as 1-2-3 and ready in 10 minutes! We usually top our pressure cooker steel cut oats with nut butter, fruit, and granola! The options are endless and you can totally make them your own. In fact, we have recently been getting into the SAVORY steel cut oatmeal. It has been so fun to try new flavors. Basically, oats are life. Happy Insta-poting! Place steel cut oatmeal, almond milk, and salt into your Instant Pot and seal it shut. 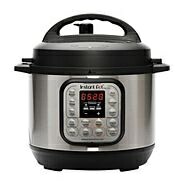 Set your Instant Pot to high pressure for 10 minutes. Make sure the valve is sealed on the top. Once it’s done cooking, perform a quick pressure release by turning the valve open to vent. You may notice that there is some liquid on top of your steel cut oats, simply stir to combine everything together. Serve with desired toppings such as nut butter, fruit, and hemp hearts. Store oats in the fridge in an airtight container for up to 5 days.